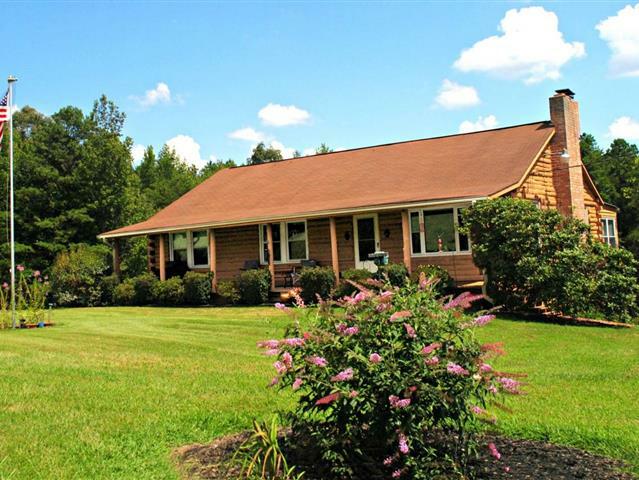 Experience the country life from this lovingly maintained log home overlooking a picturesque pond. Enjoy fresh veggies from your garden, the ability to have whatever animals you want (cattle, horses, chickens, goats, alpacas) and fish in your stocked pond. The 57 acres offers so many possibilities. The three bedroom home features one level living with a full walk-out basement for you to finish. There is an open floor plan, vaulted ceiling, quartz counters, cozy pellet stove, and a stunning sunroom with views of the beautiful pond. Conveniently located between Richmond and Charlottesville.